The Amazon and Eero have announced that both the companies entered into a definitive merger agreement under which Amazon Acquired Eero Home WiFi System. The home mesh WiFi systems set up in minutes and blanket every room. The Eero products are already available on Amazon and have over 4.6-star product rating on Amazon.com. Eero uses multiple access points that work together as a system to blanket a home in high-performing, reliable, and simple home WiFi System. Thanks to the Eero app, users can set up the system in under 10 minutes, share their network, program parental controls, and run speed tests on demand. Additionally, The Eero communicates with the cloud to receive instructions and updates. 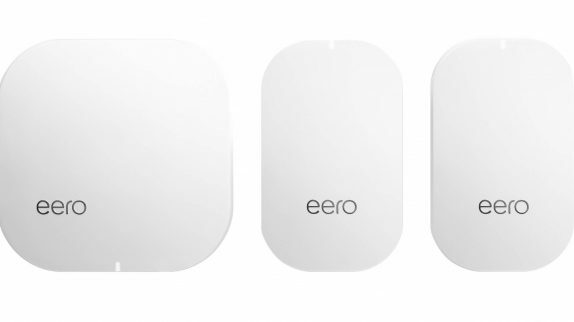 This means eero home WiFi systems are self-updating, and self-fixing. However, completion of this transaction is subject to customary closing conditions. On Amazon Acquired Eero Home WiFi System Dave Limp, SVP of Amazon Devices and Services said: We are incredibly impressed with the eero team and how quickly they invented a WiFi solution that makes connected devices just work, “We have a shared vision that the smart home experience can get even easier, and we’re committed to continuing innovating on behalf of customers.